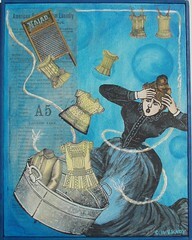 I'm the guest blogger today at Art Journal Every Day! 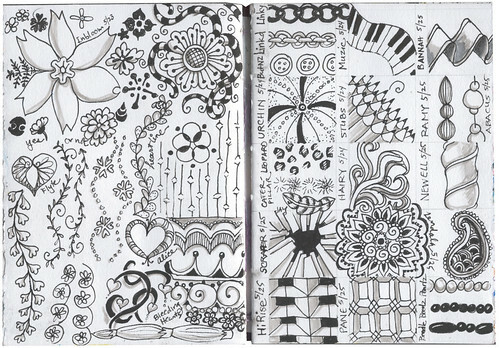 I'm blogging about using tangles in my art journal. Thank you to Julie Balzer for the opportunity! Also, if you remember my sunprinting post last year, where I used Crafters Workshop stencils to sunprint designs on painted fabric, I was very excited to learn that Julie has designed new stencils for them. Go check them out! 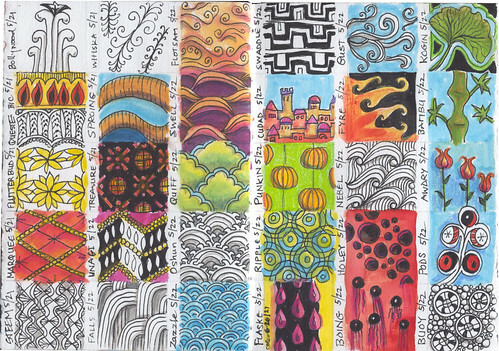 I spent a good chunk of May and June drawing and then coloring Zentangle patterns from Sandy Bartholomew's great book Totally Tangled . 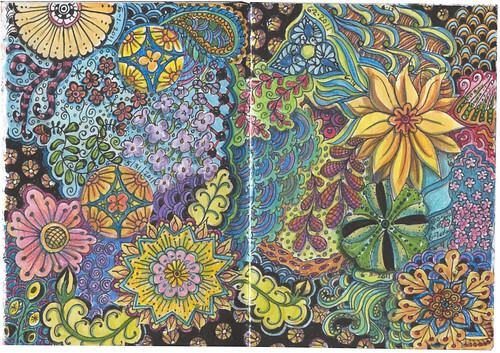 I had a very busy spring so it was great to just work on a couple of tangles each day in May, and then I went back and colored them a little at a time in June, using a combination of Letraset markers, Twinkling H20s and Prismacolor pencils. Little by little, I'm filling the pages! 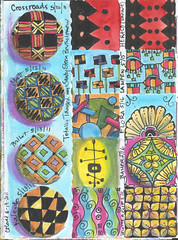 You can see other tangles & resources in my previous blog posts here and here and in my Flickr photostream. I had a very busy spring, and now that it's summer (how'd that happen? 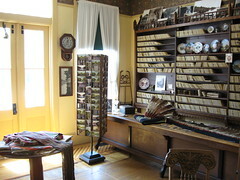 ), I'll try to take advantage of the holiday weekend to catch up on some blogging. 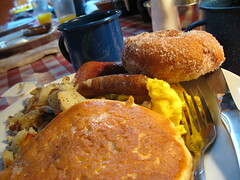 In June we had a family gathering in the Wisconsin Dells with the obligatory boat rides on the Upper and Lower Dells and a lumberjack breakfast at Paul Bunyan's Cook Shanty. But the two things I had always wanted to see in the Dells? 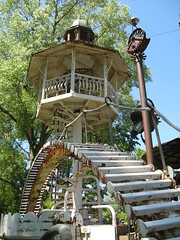 Dr. Evermor's Forevertron and H.H. 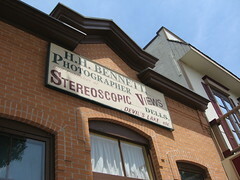 Bennett's Photographic Studio! The Forevertron is an amazing outdoor sculptural environment created by Tom Every a.k.a. 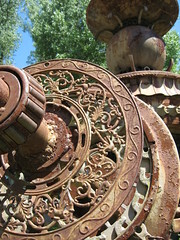 Dr. Evermor from salvaged items. 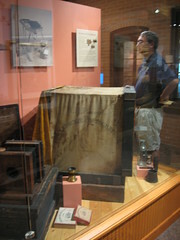 He was doing steampunk before steampunk was cool. I won't even try to describe this in words. You can see my full Flickr set here. 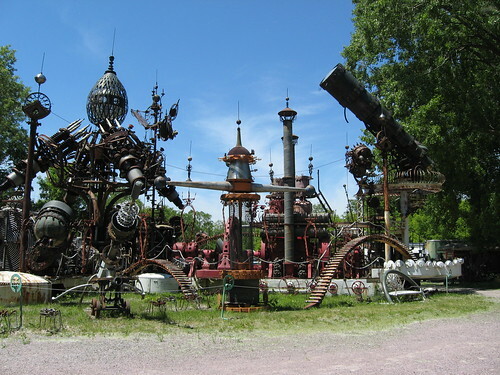 We were fortunate to meet him on the day, and the official Dr. Evermor website is up, but still under construction. Besides the Wikipedia article linked above, you can read more at Roadside America and PBS.org. 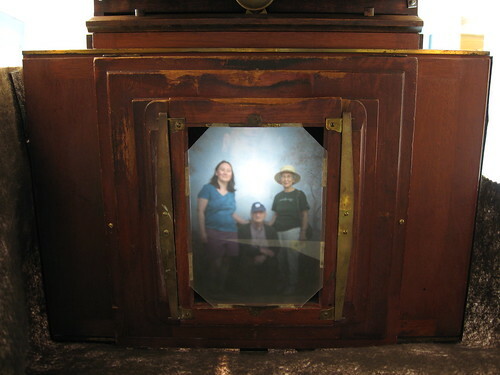 and taking a family photo through the lens of an antique camera. 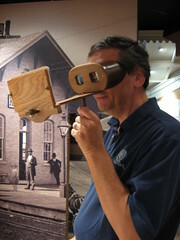 (For those of you who know your optics, we are upside down in the original photo.) 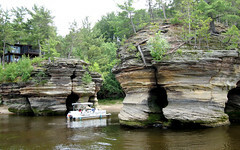 So if you're in central Wisconsin this summer, consider a road trip!